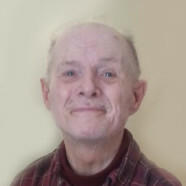 Kenneth L. “Ken” Bohn, age 72, a resident of Breese Nursing Home and formerly of Trenton, died Sunday, March 31, 2019 at HSHS St. Elizabeth’s Hospital in O’Fallon. He was born May 1, 1946 in Highland, a son of the late T.H. “Ted” and Julia, nee Cronin, Bohn. In addition to his parents, he was preceded in death by a sister, Rosalie Thomas and her husband Alan. Surviving are his nieces and nephew, Diane (Art) Mucciante of Presque Isle, MI, Lynn (Mark) Featherling of Centralia, and Rodney (Carina) Thomas of Bartlett; and great-nieces and great-nephews, Brianna, Rosalie, and Bruno Mucciante, Megan and Jacob Featherling, Jessica, AJ, and Livia Thomas. Ken was a member of St. Mary Catholic Church in Trenton and loved muscle cars. Memorials may be made to the Breese Nursing Home Activity fund to support the Bingo games and will be received through Moss Funeral Home, 535 N. 5th, Breese, IL 62230 who is serving the family.